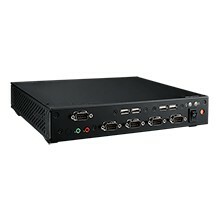 Thin enclosure with multi-IO ports for low profile Mini-ITX MB with DC-in design. 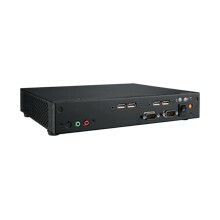 Thin barebone systems with desktop low profile Mini-ITX motherboards. 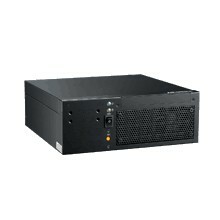 EPC-B2000 comes in two mini-ITX chassis versions (2 x SKU)—AIMB-B2000-15ZE and AIMB-B2000-00YE. Both these versions fit Advantech Mini-ITX motherboard range from low power Intel® Atom™ based boards to the most advanced Intel® Core™ i processor solutions. 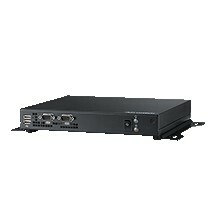 AIMB-B2000-15ZE includes an internal 150W power supply supporting Intel® Core™ i processor based motherboards: AIMB-273, AIMB-272, and AIMB-270. AIMB-B2000-00YE is a barebone chassis which supports low power Intel® Atom™ processor based motherboards: AIMB-214, AIMB-213, AIMB-212; and AMD G-series solution AIMB-223 with external power adaptor.